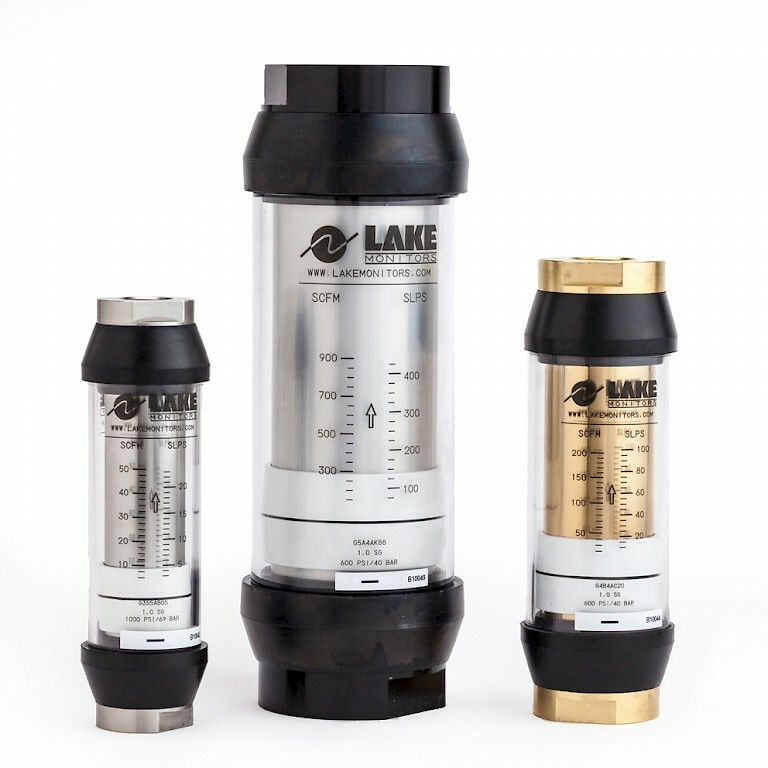 Variable area pneumatic flow rate monitors from Lake monitors use the annular orifice technique with a magnetically coupled piston and indicator. 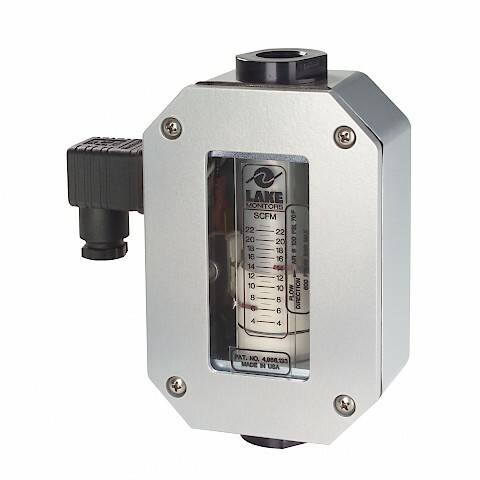 This design feature allows the meter to be installed in any plane any angle even upside down. This feature enables the user to locate the meter in the most convenient location. 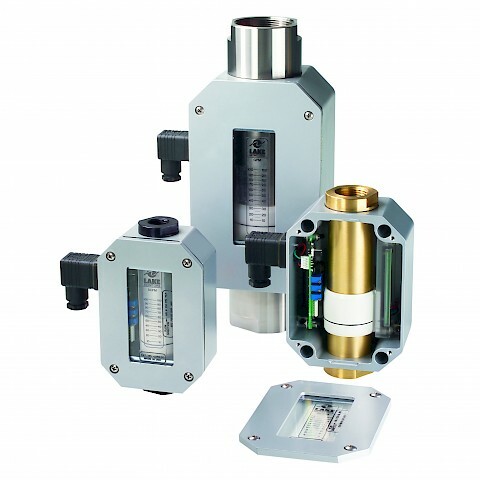 The flow meter is available with Brass, Aluminium and Stainless bodies with 3 thread options SAE, NPT, BSP. Port connection sizes include ¼”, 3/8”, ½”, ¾”, 1”, 1 ¼”, 1 ½” and 2”. Seal options include Buna-N® EPR, FKM or FFKM with maximum pressures available are up to 70 Bar. These are direct reading flowmeters with standard scales in SCFM and LPS although bespoke scales are available. 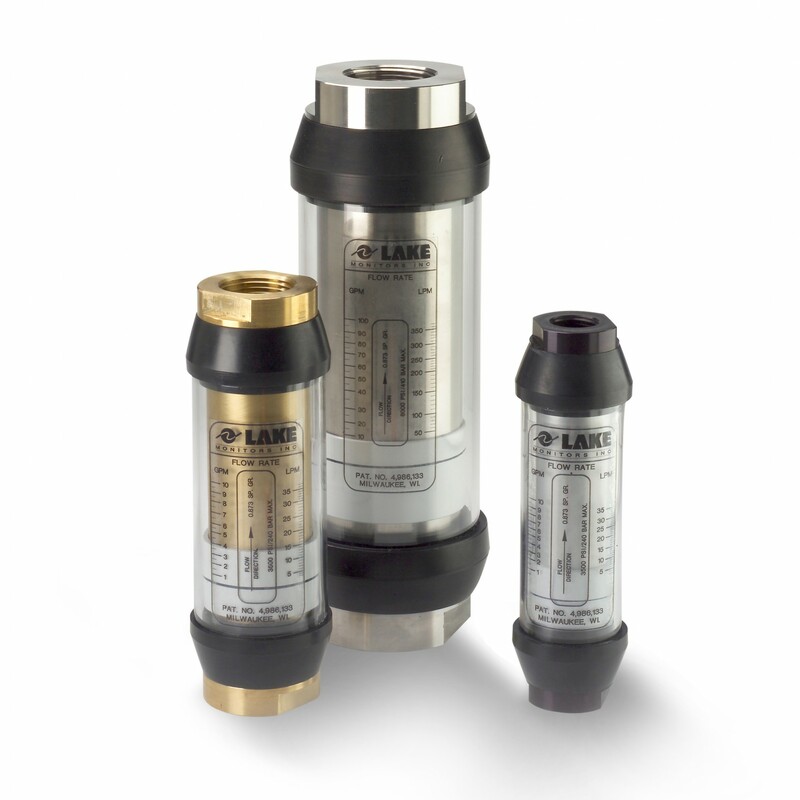 Standard calibration is 7 BarG and the Pneumatic series covers ranges from 1.5 to 1300 SCFM (1-610 LPS). Each meter is individually scaled ensuring that the standard accuracy is accuracy of +/- 2.5% of full scale. 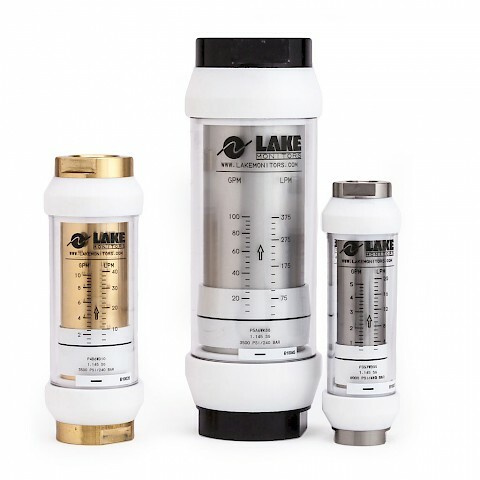 Users have the option of traceable NIST calibration certification.